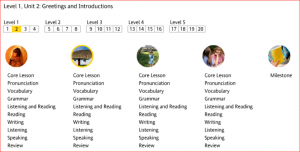 ROSETTA STONE – Is it Really the Gold Standard? Rosetta Stone seems to be the most popular and widespread language method available, and it’s available for 29 different languages. Rosetta Stone describes itself as a natural immersion –based method, which is both motivational and leads the learner to speak confidently in their new language. Promotional material touts its “award-winning method,” a “proven solution,” “the gold standard of computer-based learning,” and “used successfully by more than 10,000 schools, NASA, the U.S. State Department, the U.S. Army, and Thomson Reuters.” That’s a lot of social proof! The first thing to understand about Rosetta Stone is their method of immersion. Once you get started, there are no instructions or explanations in English. Nor do you try to translate anything into English; the point is to think in your new language. You learn like a child immersed for the first time in a world of speaking people, trying to understand what it all means. It takes a little while to catch on to what it expected of you. You are given a phrase and shown what picture it corresponds to; then you are given another phrase and you pick which picture it corresponds to. And the method leads you slowly and sequentially into learning a few words and a single grammatical point, then slowly and methodically adds more. The slow pace can be good or bad depending on your perspective. The point is to solidify what you know before adding much more. And it does this well. Rosetta Stone employs native speakers, listen and repeat exercises, and also syllable by syllable drills to help you learn correct pronunciation from the start. Vocabulary is introduced slowly and the method employs spaced recall to help you move new words into long term memory. Some exercises have you listen and repeat. Others employ question and answer – i.e. by indicating the correct picture, filling in a blank, or speaking a phrase. Each lesson covers vocabulary, pronunciation, grammar, listening, speaking, reading, and writing – with ample time given to review as well. Each time you make a response, your response is immediately reinforced or corrected. You don’t have to wait to see if you were right. And, if you were wrong, a similar question will come up again to make sure you catch on. It never just moves, leaving you behind. Unlike some methods, you learn both oral language and written language at the same time – both hearing how it’s pronounced and seeing how it’s written. Those who prefer learning oral language first (like a child) may regard this as a “con,” others will appreciate this feature. Rosetta Stone keeps track of your progress and always asks if you would like to resume where you left off or choose your own place to start. It also marks off each section as you complete it, giving you a visual reminder of your progress. In my mind, one of the best features of Rosetta Stone is their free trial of live, online, small group review sessions. I found these sessions engaging, fast paced, and very helpful. To continue them, unfortunately, you must subscribe to the online version for a monthly fee. An online subscription will also provide you with mobile apps, chat with other users, games, and stories you can either listen to or read. There are no translation exercises; again, the idea is to have you think and interact solely in your target language. Nor are there lessons addressing culture. Rosetta Stone makes heavy use of Adobe flash technology and, on my machine, always seemed sluggish and occasionally crashed. Rosetta Stone would seem to be best suited those beginning their language study. If the approach fits for you, it is designed to lead you to a level of conversational fluency, i.e. through the intermediate level. There is some initial setup required, both installing the program and making sure that your speakers/headphones and microphone work with it. There are good directions in English to lead you through this part of the process. 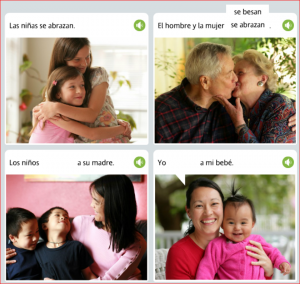 Rosetta Stone provides a full complement of support, via knowledge base, phone, e-mail, and live chat. When I had some problems with initial setup, I found Rosetta Stone to respond very quickly. $179 list for level 1; $499 list for levels 1-5. However, you can find heavily discounted offers, such as this link for 54% off! I’m not a fan! Or maybe I should say, it’s good, but not perfect. Perhaps it’s a matter of personal fit, and maybe I needed to stick with it longer. I do consider Rosetta Stone a sound program, and I am impressed that they stick to their methodology. Personally, I would prefer to receive some grammatical instruction in English to speed the process. As regards vocabulary, however, I appreciate their insistence on working within the target language, rather than translating back and forth. Having in mind the goal of thinking in the target language, this makes a lot of sense. With all these factors in mind, I would encourage you to stop waiting for a perfect method and jump into language learning whether it be with Rosetta Stone or another method. I have seen the adds for Rosetta Stone for years now and have wondered if they are any good. I found your review very helpful and informative. This does seem like a very immersive program, I often wondered what they meant about this from the adds. I’m not sure learning any new language is easy, especially once we are older. Any way we choose will be a lot of work I believe. I’m glad you found the review helpful. If you have any questions or I can help in selecting a language learning approach, please send me an e-mail. Thank you for this great product review. This information is very informative, broken down in a way that I can appreciate and follow. I like your personal touch of how you have tried it, the parts that you like or don’t like. Do you know what the online monthly subscription fees would be? 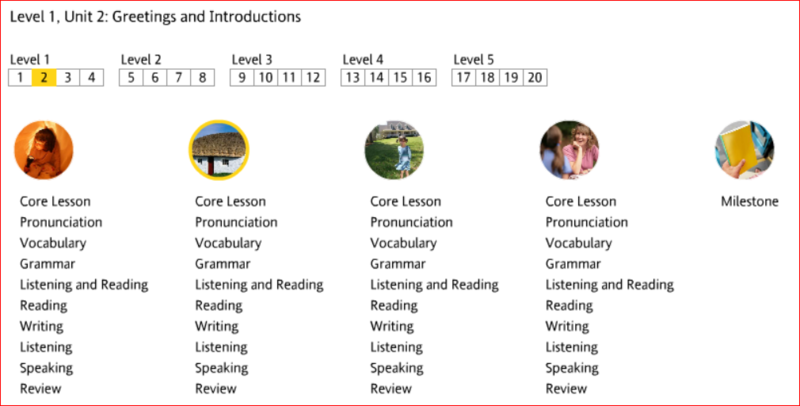 My other question is whether the level 1 is enough to teach me enough about a language to travel and speak their language, or would we need the 1-5 levels? Paul, in response to your questions: If you purchase a permanent licensed version on CD-ROM or by instant download (which is good for up to 5 household members), you also get three months free subscription to the online version for one person with live tutoring, games, etc. To extend that subscription costs “less than $10 per month.” Or, you could buy a subscription for 3, 6, 12, or 36 months — for one user and licensed only for that period. Level 1 is a good start, but for your purposes I think you would want at least 3, if not 4 or 5, levels. Please feel free to ask other questions as they come to mind. I’ve heard a lot about Rosetta Stone over the years and it claimed to be able to enable anyone to learn a language in a very short period of time. Thanks for sharing! I’ll definitely take this into consideration before purchasing any language learning software. Is there a better program that you would recommend? For some people, Rosetta Stone will be the best program for them. I recommend you read through several of my reviews and determine which would fit best for you and your learning style. 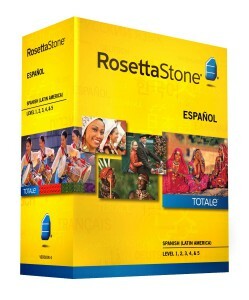 I have used Rosetta Stone software for many years now off and on, as I travel to many countries and knowing some of the basic terms (300-500 base words will carry you far when traveling), so find the set up quite workable for my needs. I have never paid full price, as you mention there seems to be always a sale of come sort or other going on. Once you get familiar with the way they immerse you into the language it becomes easier. The first real foreign language I learned well was German back when I was a kid in Germany. I learned it also by immersion, regularly getting out in the middle of German people and diving in. Perhaps that is why I feel comfortable with the method that Rosetta Stone uses to teach languages. Appreciate the thorough review and it provides an accurate picture of what a prospective investor in these tools will provide. Good job! Thanks for sharing your experience with Rosetta Stone. For many people, it works very well!